dermalogica® is a globally recognised skin care system researched and developed by ‘The International Dermal Institute’ combining the latest advances in ingredient technology together with age-old treatment traditions to revive total body wellness and skin health. These therapeutic treatments are tailored to meet your skin’s unique needs; targeting specific concerns and helping to restore optimum skin health. Our detailed skin consultation precedes each treatment to ensure maximum benefits for your skin. dermalogica® products contain no unnecessary ingredients such as lanolin, mineral oil or artificial fragrances or colours. This beautiful facial uses an extensive range of natural fragranced organic products. These will be customised to suit your skin type. A powerful and relaxing experience that will leave your skin feeling radiant. Mineral-rich sea salt, dried seaweed and fruit enzymes combine to smooth and silken the entire body, includes dry body brushing, friction massage, hot towels & moisturising. This relaxing back facial begins with a deep cleansing of the back to remove excess oil and debris, or to treat dry skin, this is followed by an exfoliation using Hydro-Active Mineral Salts to polish away dullness. Lastly, a stress relieving treatment with a moisturising cream is applied; leaving you relaxed and your skin radiant. Environ is a South African based product pioneered by Dr Fernandes, a hihighly acclaimed plastic surgeon. Environ products are vitamin based and manufactured from the highest quality ingredients to give exceptional results. No artificial colours, fragrances or preservatives are used. Designed specifically for you, this treatment is truly revolutionary. During this unique facial your skin care therapist will customise every step of your treatment, based on your personal 'Face Mapping' analysis. A cleanse, exfoliation and then a masque is applied, you will then drift away as your receive a neck and shoulder massage, leaving you feeling completely relaxed and de-stressed. This facial is perfect for people on-the-go, and will achieve maximum results. 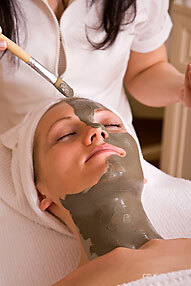 As part of a complete maintenance treatment, your face will be cleansed and exfoliated under gentle, refreshing steam. You will then enjoy a customised masque, followed by a luxurious moisturiser. A perfect treat for maintaining pristine, fresh-looking skin. This deeply relaxing treatment includes a back massage to reduce stress and muscle tension – a perfect start to this facial! We begin your relaxation journey with a back, neck and shoulder massage to ease your mind and spirit. It then continues with a deep facial cleanse followed by a customised exfoliation to reveal a smooth, glowing complexion. Finally, a replenishing, customised moisturising masque will penetrate deep into your skin and leave your face feeling completely invigorated and de-stressed. Environ® Facial – Environ® is a South African-based product pioneered by the highly-acclaimed plastic surgeon Dr Fernandes. Environ® products are vitamin-based and manufactured from the highest quality ingredients to support exceptional results. They are free from artificial colours, fragrances and preservatives. Indeed a luxurious facial – ideal for sensitive skin. This treatment includes a customised deep cleanse and exfoliating scrub followed by a strong yet deeply relaxing neck and shoulder massage. You will also enjoy a rejuvenating masque to repair traces of the stresses and strains of daily life and revitalise your appearance. Last but not least, this is followed by a protective moisturiser to shield your skin from rugged environmental elements.